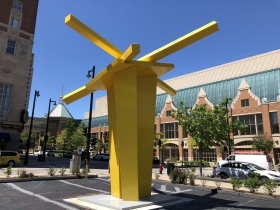 Walking tour gives you expert insight into the sculptures and the artists that made them. 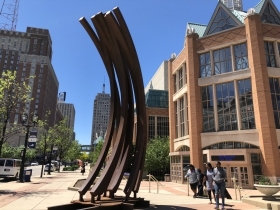 Sculpture Milwaukee Guided Walking Tour. Photo by Jeramey Jannene. 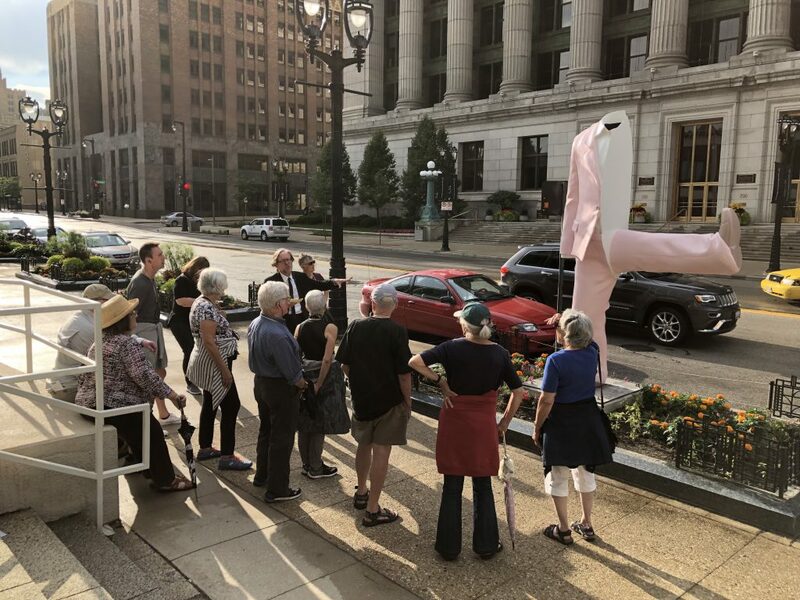 Sculpture Milwaukee is back for another year, and so are Urban Milwaukee’s docent-led tours. 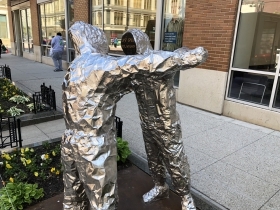 See the 21 world-class sculptures up close with the assistance of an expert guide. 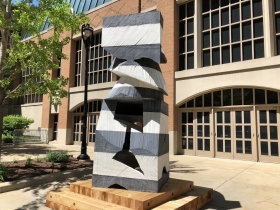 The guided tour includes not only the chance to see the art up-close and in-person, but to learn what inspired the artists, how the pieces were made and to explore possible interpretations of the work’s meaning. You’ll also be able to ask questions of our very knowledgeable guide, Jonas Karvelis. We’re hosting our next tour on August 16th starting at 5:30 p.m. 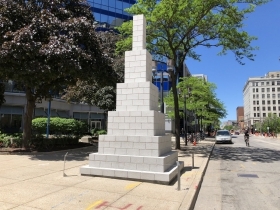 The approximately one-mile, 90-minute walking tour will run from Kiki Smith‘s Alice (Seer II) sculpture in the gardens in front of the Northwestern Mutual Tower west to the Milwaukee County Historical Society’s Brew City MKE pop-up bar. 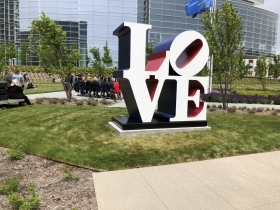 Along the way, you’ll see striking pieces like Robert Indiana‘s iconic LOVE sculpture. Tour tickets cost $12/each for the general public. Urban Milwaukee members pay just $6 per ticket after signing into their account. Interested in becoming a member to get such discounts? Membership starts at just $9/month and includes discounts to Urban Milwaukee events, private, free events just for members, an ad-free website with improved photo browser and access to a growing number of free tickets to marquee events (Summerfest, Irish Fest, Wisconsin State Fair, Florentine Opera and the Milwaukee Film Festival to name a few). Tickets must be purchased in advance (sorry, no walk-ups). Free admission to the museum at the bar is included with any drink purchase at the end of the tour. Purchase your tickets for the August 16th tour. Space is limited.